Experience Florida’s natural beauty when you visit the St. Pete Beach area, which boasts sparking blue water, white-sand beaches and beautiful sunshine year-round! You’ll stay at the Dolphin Beach Resort, located directly on the Gulf Coast, and enjoy several free excursions, including a trip to see the Detroit Tigers play during spring training, shopping, flea markets and more. 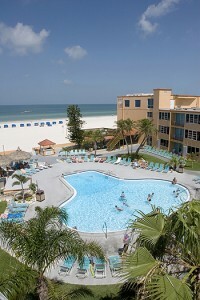 Bask in Florida’s sun and warmth in the middle of the cold Michigan winter! Click here for full details. Experience the best of Branson. Shows, shows and more shows! 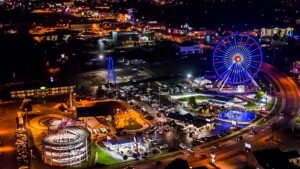 If you’ve always wanted to go to Branson, this is your trip! See The #1 hits of the 60’s and 50’s Too!, CJ Newsoms Classic Country & Comedy, SIX, The Showboat Branson Belle, The Doug Gabriel Show and more! Click here for full details. 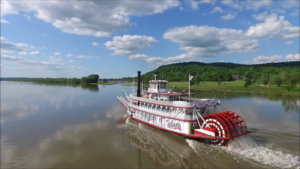 Join us for this Riverboat Excursion from Peoria, IL, to St. Louis, MO, on this authentic sternwheeler! We’ll have live music and entertainment on the boat every day. We’ll stay overnight at the Pere Marquette Lodge, HoteLumiere at the Arch, and the Abraham Lincoln Hotel. We’sll spend a full day with Lincoln: Abraham Lincoln Presidential Library and Museum, Lincoln Home, Lincoln Tomb and Oak Ridge Cemetery, and tour the Old State Capitol. We’ll also cruise through three locks and damns. Click here for full details. Help us celebrate the return of the Tall Ships to Erie, PA! 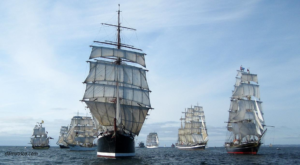 Don’t miss the Parade of Sail and tour of these magnificent ships during the four-day event. We will stay at the host hotels, Sheraton Erie Bayfront adn the Courtyard by Marriott, where we will be font and center for the Parade of at least eight tall ships. this trip includes admission to the Tall Ships Festival, Convention Center, parade of Sail and Ship Tours, as well as admission to the Maritime Museum. You’ll also tour St. Patrick’s Church, enjoy a guided tour of the Presque Isle State Park and the Erie Land Lighthouse, lunch and wine tasting and more! Click here for full details. If you enjoy the programs and services offered, please consider giving to the RACC. As a 501(c) 3 non-profit organization, we are community supported and we receive no government funding. Keep up-to-date on the latest programs, classes, and events! The Center is your place to gather and connect with neighbors and friends. We focus our programming around three key areas: Arts and Culture, Healthy Living and Lifelong Learning. We’re here for you! The Richland Area Community Center is open Monday through Friday from 9:00AM to 5:00PM. In inclement weather, if Gull Lake Community Schools are closed, we will be closed for all activities.